After months of speculation and anticipation Laurent and Simone Gbagbo and Charles Blé Goudé became the talk of the town in The Hague last week. The former first lady of Ivory Coast was sentenced to 20 years in prison, whilst still being indicted by the International Criminal Court. In the halls of The Hague, her husband Laurent’s case took a sharp turn as it was merged with the case of Blé Goudé. Before we dive into the conversation around the Gbagbo/Blé Goudé merger, let’s have a look at what followed the Simone sentencing. It didn’t take long for calls of a political trial to emerge out of Ivory Coast. #ci225 govt ringfenced trial deftly. Little public love for Simone G; FPI party has imploded anyway; there'll be political settlement later. But less than 24 hours after Simone was put away for 20 years, rumours started coming out of Ivory Coast that a potential pardon was in the works. Another issue that came out of the Simone Gbagbo sentencing was complementarity and her pending case at the ICC. The Hague-based Court has been very clear in its position: regardless of the outcome of the Ivorian case, Simone will need to appear in the docks of the ICC. But should that the case? In a post for Opinio Juris, Kevin Jon Heller discusses what the sentencing might mean for Simone’s case at the ICC. During the scramble to cover Simone Gbagbo’s sentencing, the ICC decided to release the news that the Court will join the trial of former Ivory Coast president Laurent Gbagbo and the former leader of the Young Patriots Charles Blé Goudé. The prosecution put forward a series of arguments as to why the cases should be joined. ICC granted Prosecutor's request to join Ivorians Laurent Gbagbo & Blé Goudé to ensure the efficacy and expeditiousness of proceedings. As expected, the counsels representing Blé Goudé and Gbagbo didn’t agree with the findings of the trial chamber. 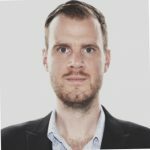 In an article for Justice Hub, Antoine Panaite explains the ins and outs of the decision to join the cases. 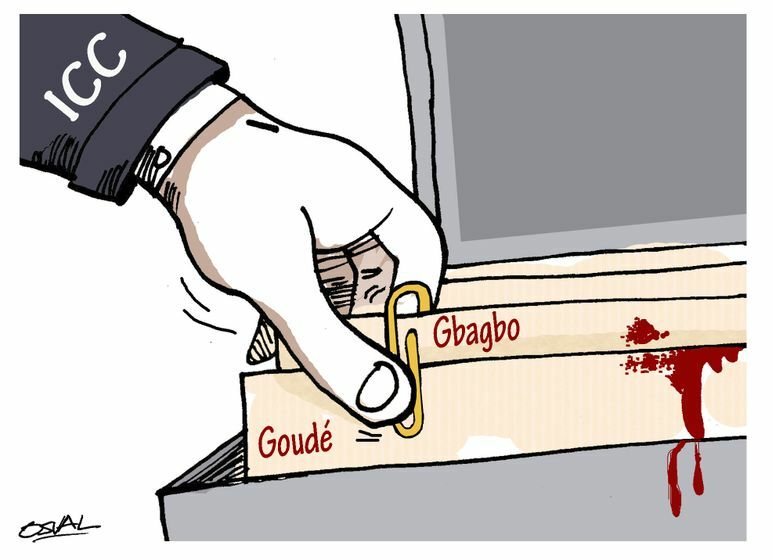 Sometimes a picture says more than a thousand words and the potential mess of the Gbagbo/Blé Goudé case was quickly caricatured by various cartoonists. The joint Gbagbo and Blé Goudé trial will have a status conference in late April, and it’s highly unlikely that the trial will kick-off during the summer, as was originally planned with the Laurent Gbagbo trial. So what’s left? A dreamer would envision Ivory Coast sending Simone Gbagbo to The Hague for the first trio-trial in the history of the court. Unlikely, or near impossible, but it never hurts to dream. Will the ICC accept the Ivorian sentence against Simone Gbagbo? Did the Court make the right decision in joining the Gbagbo and Blé Goudé cases? For more information on the joining of cases click here. For information on the charges against Charles Blé Goudé click here. For a summary of the issues in the Simone Gbagbo sentencing click here. Lead image: Osvaldo Guiettierez Gomez works for Cartoon Movement.